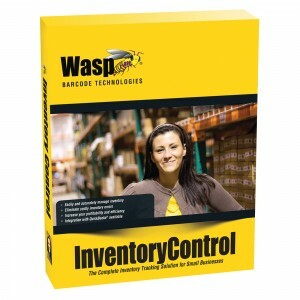 This cleaning service provider will need the Wasp Inventory Control Enterprise version of the software so that they can have unlimited licenses for this warehouse management system to be installed on as many computers as needed. Different locations can be separated in the system to not see each other’s data while still being connected to the same central bank of information, to prevent confusion, so that was definitely a great way for the client to manage their multiple locations. They receive shipments that already have barcodes that are placed by manufacturers, and some shipments that do not have these labels labels, so the ability to use pre-existing barcodes as well as make their own is very important. Wasp Inventory Control can easily read pre-existing barcodes as well as create and print barcode labels using WaspLabeler (which comes with the program), as well as track manufacturer barcodes alongside in-house barcodes that are on the same item. The client currently uses excel to track their inventory, by printing out lists of items, writing on the sheet while taking count in the warehouse, and then re-entering the hand-written data to reflect changes. This process is made simple with the use of an HC1 mobile computer, which can simply scan the items and send the data instantly over WiFi to the main database. The green company provides maintenance for a range of different industries, from commercial to medical to educational, and needed to be able to keep track of many different services by making kits of items to be used on a regular basis for each of these routine tasks and receiving alerts when inventory is low. 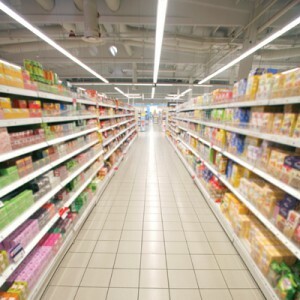 The client was excited about implementing Inventory Control, remarking that it was a perfect fit to streamline their inventory management, and that they wished they had ordered the software years ago. They wanted a mobile computer and barcode label printer in each warehouse, so that teams could operate all aspects of the system and get all of their locations set up quickly and efficiently. Here at EMS Barcode Solutions, we can create the perfect bundle package for their needs, as well as ongoing support for the future. 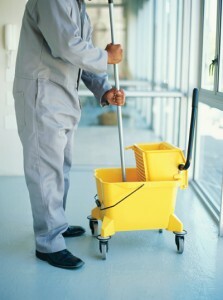 Like us on Facebook to get updated news on Inventory Management for Cleaning Company and other special offers!